Before coin collecting and within the living memory of man, direct barter is remembered as the principal means of trade. Goods exchanged by separate parties for the mutual benefit of both. a time consuming process which could result in many spoiled loaves and spoiled butter. Introducing a third party that has eggs and will accept shoes he doesn’t need because he knows someone who will trade them for butter he does want, is a step in the right direction. Keep moving down that road and sooner or later something is going to evolve as a standard medium of exchange, a common currency. Gold, silver, copper and a few other precious metals came to be that medium of exchange. And as a result coins made from those metals were produced. Paper, until just a few decades ago, was nothing more than a marker for these commodities. 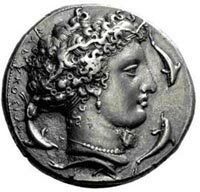 Coin collecting history and Historians largely agree that the first coins were struck during the 7th century in Asia Minor, in an area that is now part of Turkey. Struck is an appropriate term, since they were made by putting a blank metal piece between two die and striking the top with a hammer. Those die often bore the likeness of kings, as they were the ones who declared laws forbidding anyone else to produce currency. 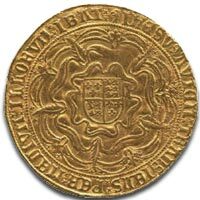 It was both a way to enforce their rule and to guarantee the authenticity of the coinage. In other words … He who has the gold makes the rules. As culture and technology developed, metal coins became more a part of coin collecting history as they came into wider use. During the 14th century coins came to be valued not only for their function in commerce, but as works of art in themselves. Petrarch (Poet and scholar – b.1304 – d.1374) is reported to have owned a substantial collection of ancient coins. During the late 18th and 19th centuries coin production technology evolved to the point that hand minting was surpassed by machine-made methods. Coin collecting took a radical turn at this stage. Hand-made coins, even when they are carefully alloyed and weighed, differ visibly. Even the most painstaking artisan can never produce two coins exactly the same. As a result, coins that qualified as an error tended to make that coin rarer than coins produced properly. This had an entirely different meaning in the earlier hand struck era. Machines can mass produce coins of uniform alloy and shape. Although, subtle, and sometimes, not so subtle, mistakes can still happen. Double-striking, incorrect plates used, wrong dates and any number of human errors can cause machine made coins to differ from the acceptable quality and standard. Because of their rarity, these ‘bad’ coins can have substantial value in coin collecting. Rarity, after all, even when the intrinsic value might otherwise be low, is a key element in the value of a collectible coin. August 15, 1962 saw the first international coin collecting convention in the U.S. Sponsored by the American Numismatic Association, this event ushered in the truly modern era of coin collecting. Today, there are dozens of organizations around the world and millions of collectors devoted to the art and science of coin collecting. Shoulder-to-shoulder with their cousins in numismatics (the study of currency), they study coin collecting history and trade actively in coin shops, coin collectors clubs and websites all over the world. Coin Collecting is an Old Art … Yet the urge to collect coins is unquestionably similar even seven centuries after Petrarch. The joy of finding and sharing that rare treasure and building your own coin collection is still beyond measure.